As riders adventure down 25ft, they will definitely be taking a slide on the colorful side. 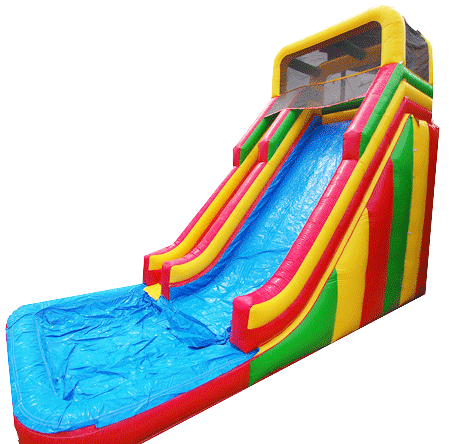 With a gigantic landing and eye-catching design, this massive 25 FOOTER is sure to be a total hit at any event! The weight limit for this jump is 500lbs. This rental's based price is for 6 hours. If additional rental time is needed we do offer overnight rental which is 25% extra.